When the Palestinian Circus School first came to town, a number of critics scoffed: Palestinians had more urgent needs than to teach their children how to do acrobatics. But since its beginning in 2006 the circus has expanded its act and travelled to numerous countries, in the process educating Palestinian children who might never have set foot outside of the West Bank otherwise. 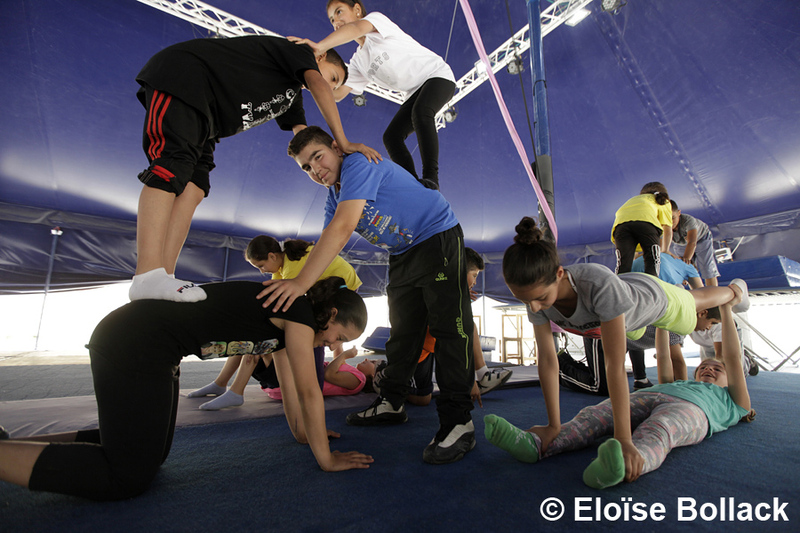 “The Circus School is our social tool to build a better Palestine,” Shadi Zmorrod, a Palestinian who grew up in Jerusalem and whose dream was to bring circus to the West Bank, told The Media Line. “We want to engage the children, to empower them to strengthen their personality so that they can become positive actors in their society,” Zmorrod said, stressing the importance of the team work and trust that is fostered in the children through the arts. 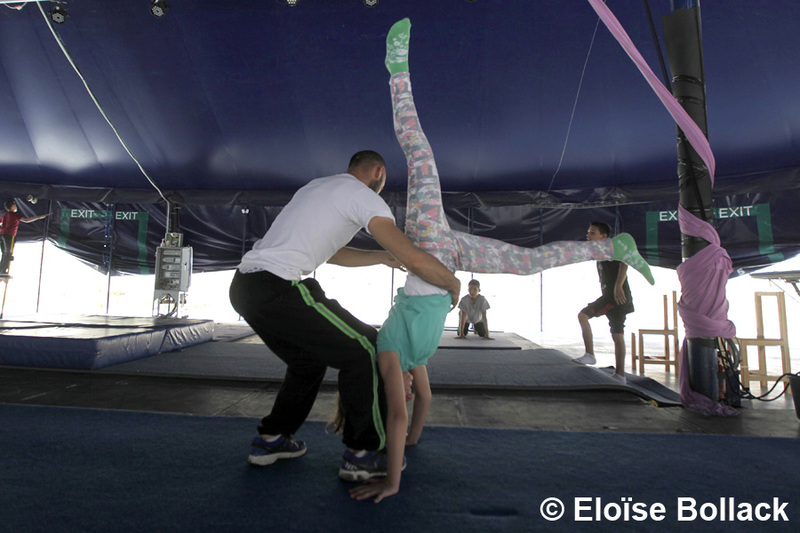 Started in Ramallah, by Zmorrod and Jessika Devlieghere, a Belgian, the Palestinian Circus School set out with just its two founders as staff and a handful of children as students. Zmorrod acknowledged that the circus, with its trapezes, Chinese poles, balance acts and trampolines, is not really a traditional part of Palestinian culture but said that one of the aims of the school was to change this. 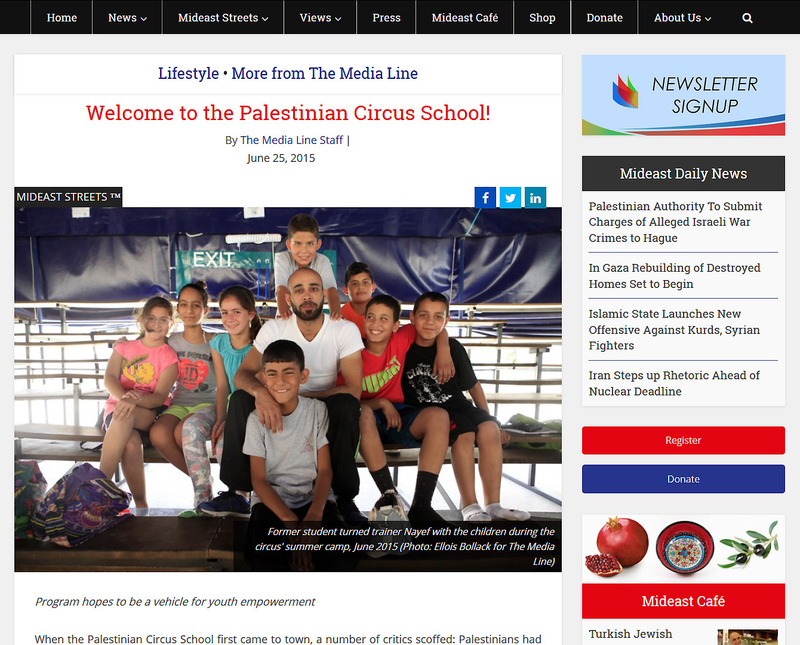 At first the school attracted little attention, with some foreign circuses coming to the West Bank to put on performances and training sessions with their Palestinian counterparts but little else. Since then things have changed. Each year, the school prepares a new production that tours through 50 cities and villages around the West Bank, east Jerusalem, and abroad. The school’s shows are inspired by the daily lives of the children and adults living in the Palestinian Territories.